Many serious diseases develop from an acidic environment within the body. Alkaline foods are like a natural medicine to prevent disease. These are the best alkaline foods! Fundamentally, or blood is acidic, so our body’s health will be poor and our immune system will be negatively affected if we consume acidic foods without moderation – we need a great mix of foods that help to maintain an alkaline state in order to achieve optimal health. Furthermore, acidic foods make it harder to prevent nasty diseases like cancer. Some foods are more alkaline than others. 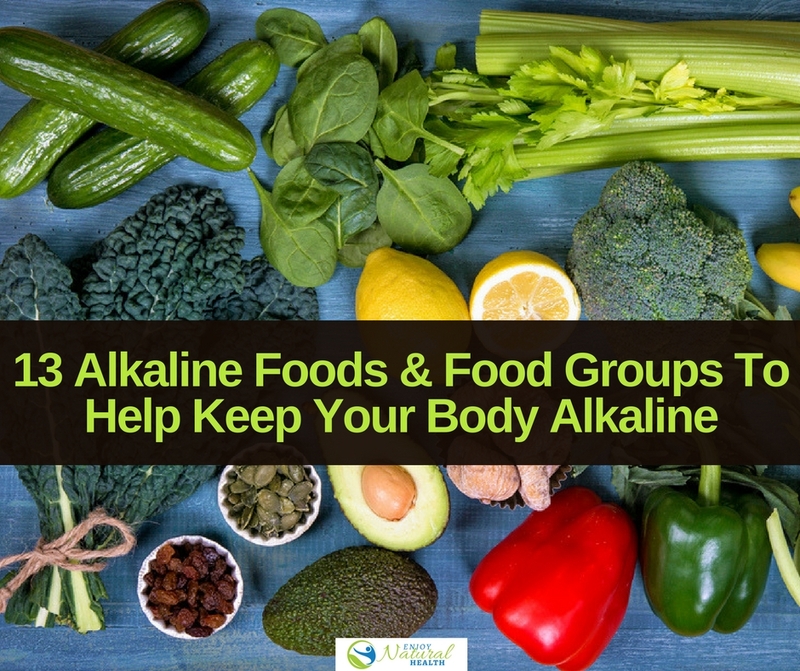 You don’t need to just restrict yourself to alkaline foods in order to have good health, but you should balance the foods you eat in order to get the body’s pH levels to be alkaline. Our blood’s pH level is pretty much determined by the foods we eat. If our blood is acidic, our body will perform poorly and we will have difficulty fighting against the harsh effects of oxidation and disease-inflicting viruses. That’s why we need to have a balance between consuming alkaline foods and acidic foods. Food components that promote alkalinity in the body include calcium, magnesium, and potassium. On the other hand, food components that increase acidity in the body include protein, sulfur and phosphate. Alkaline foods include certain fruits, vegetables, and legumes. Acidic foods include meat, fish, dairy, eggs, fish, alcohol and most grains. These foods are very rich in antioxidants, which fight off acidity. When your body is in dire need of cleansing, you need foods rich in antioxidants. These foods make your body have a pH value of 8.0. When processed, they chemically react with acidic foods of pH 5 and balance them up to near alkaline levels. All types of berries are alkaline in nature and are good at regulating blood pressure. Garlic and dates also regulate blood pressure. Sip a glass of fruit juice to eliminate acidic compounds in the body, or take a bite of kiwifruit or chicory. Fruit juices contain natural sugar which provides energy to the cells while not promoting the growth of cancerous cells. Fruit juices, kiwifruit, and chicory are rich in flavonoids, chemical compounds that are strong in antioxidants. This food group produces a pH level of 8.5 in the body. Kiwifruit is rich in vitamin C, and has even more than oranges. Chicory tastes bitter but contains insulin that supports the pancreas and helps the body in preventing and fighting diabetes. This group of fruits produces a pH level of 8.5 in the body and cleanses the kidneys. Parsley is best at cleaning the small intestines, and you obtain its full benefits by eating it raw. It also possesses diuretic properties, necessary in cleaning the kidneys. Papaya is the healthiest laxative that promotes colon cleansing and defecation. Limes, melons, and mangoes are very rich in vitamins and produce an alkaline condition during digestion. Watermelons are very alkaline with a pH level of 9. It holds 92 percent water content in its entire weight and has a high fiber count. Watermelon is a very good source of beta-carotene, vitamin C, and lycopene. Watermelon is one of the most life and energy-supporting foods and the most effective in quenching thirst. It is a good colon cleanser. These foods produce a pH level of 8.0 and are easily digested, meaning they are rich in fiber. Sweet apples, apricots, and sprouts are very rich in enzymes which are really helpful in maintaining the body’s hormonal balance. The saying goes that an apple away keeps the doctor away, which is very true. You can include sprouting seeds of alfalfa sprouts in sandwiches and salads. This group of foods produces a pH level of 8.5 and is rich in antioxidants and vitamins A, B and C. Raisins, plums and grapes lower blood pressure and reduce the risks of getting heart diseases. Vegetable juices are rich in iron and are good for cellular cleansing. Pineapple is very high in L-Carnitine, a compound which uses body fat as an energy source and is good in shrinking the waistline. This group of food produces a pH level of 8.5 and is a unique and powerful body blood cleanser. Watercress is a superfood and can be prepared as part of a healthy salad. It is best eaten raw and is rich in calcium and iron. Asparagus is very rich in asparagine, an amino acid very helpful to the nervous system. Almonds lower cholesterol levels, help in losing fat and increase muscle mass. Almonds are a great option for in between meals and you don’t have to eat lots of them in order to enjoy their benefits. Lemons are very alkalizing, producing a pH level of 9, so they are considered the most alkalizing food. Lemons offer almost immediate relief for flu, colds, cough, hyperacidity, heartburns etc. thanks to their electrolyte properties. Lemons disinfect and heal wounds, so they are a natural antiseptic. Lemons detoxify and energize the liver, they are the best liver tonic. Cantaloupe belongs to the family of lemons. It is very low in sugar but rich in fiber. Cayenne is rich in vitamin A, an important antioxidant in fighting free radicals, and possess antibacterial properties. This group of food produces a pH of 8.5. They are rich in enzymes needed by the endocrine system. The spices and herbs you include in your diet influence alkaline levels. Basil is a herb that helps maintain your alkaline level. It also has lots of other important nutritional benefits. For example, it contains flavonoids. Basil contributes to the body’s ability to heal itself. Beetroot, besides being one of the foods that will raise your pH levels, is an important vegetable that contains phytonutrient betalain, which has anti-cancer properties. You can use beetroot as a salad topper, have them as a side dish, bake brownies with them, or put them in smoothies. To obtain beetroot’s full benefits, eat them raw and while still fresh. Broccoli has so many nutritional value and benefits to the body that it should be a must have in your diet. Broccoli is a healthy alkaline food that is quick and easy to cook; you can steam or stir fry it as one of your vegetable side dishes.